Organisers of the £50m project want it to become another major tourist destination in the county, and one which will last for thousands of years. 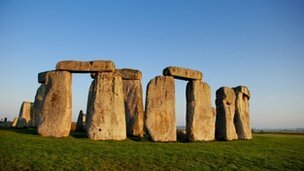 New Stonehenge would include yurt huts for visitors to stay in, a planetarium and an observatory. It would be located about four miles (6 km) from the existing stone circle. The land is close to Fugglestone Red where Wiltshire Council has proposed a major new housing development as part of its 2009 Core Strategy. The project is currently in the planning stages while the team behind it seeks funding for consultation on the environmental impact of the proposed structure. Private investment for the build is currently being sought, with organisers expecting the attraction to make back the outlay within 6-10 years of it opening. Project leader Colin Shearing said it will be an “homage” to the original Stonehenge. 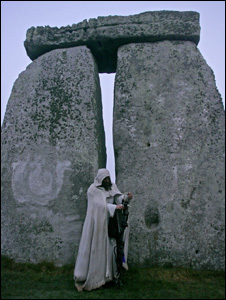 Archaeologists believe the original Stonehenge was built anywhere from 3000 BC to 2000 BC. Mr Shearing said the new Stonehenge circle would be built with stones imported from different countries around the world, with each one matching a colour of the spectrum. He said the entire structure will be polished and set into a floor of white quartz granite and surrounded by a white stone wall. It is planned for the attraction to host events such as summer concerts and festivals as well as conferences and weddings. Graham Gould, of Salisbury City Centre Management, described it as a “fantastic idea”. He said: “For tourism in Wiltshire, it will be a huge boost. The new Stonehenge will compliment the old one. Following a full environmental impact study, organisers hope to apply for planning permission to Wiltshire Council in 2014.